A surprising, compelling, and brilliant milestone in understanding the history of race relations in America. This April, the Midtown Scholar Bookstore is pleased to welcome Steve Luxenberg to Harrisburg as he presents his new book, Separate: The Story of Plessy v. Ferguson, and America's Journey from Slavery to Segregation. Luxenberg will be in conversation with Harrisburg's own, Harvey Freedenberg. This event is free and open to the public. The complete rankings of our best -- and worst -- presidents, based on C-SPAN's much-cited Historians Surveys of Presidential Leadership. This April, we’re thrilled to welcome C-SPAN Chairman Brian Lamb and CEO Susan Swain to Harrisburg as they discuss their new book, The Presidents: Noted Historians Rank America's Best--and Worst--Chief Executives. WITF’s Scott LaMar will moderate the discussion. This event is free and open to the public — book signing to follow. Based on interviews conducted over the years with a variety of presidential biographers, this book provides not just a complete ranking of our presidents, but stories and analyses that capture the character of the men who held the office. From Abraham Lincoln's political savvy and rhetorical gifts to James Buchanan's indecisiveness, this book teaches much about what makes a great leader--and what does not. Susan Swain has been interviewing Washington notables for three decades, sitting down with presidents and first ladies, members of Congress, Supreme Court justices, historians, and political journalists. She integrates this with her management role – since 2012, she's also served as co-CEO of the public affairs cable network. She and C-SPAN founder Brian Lamb have collaborated on nine books, published by PublicAffairs. Their latest, published in spring 2019, is "The Presidents: Noted Historians on America's Best -- and Worst-- Chief Executives." Susan edits Brian Lamb's interviews with the country's top presidential historians into lively essays that provide snapshots into life events that have shaped our leaders, political challenges they faced, and the legacies they left behind. The book's unique twist -- it's organized by C-SPAN's often cited Historians' Survey of Presidential Leadership. Some of Swain and Lamb's past titles include ""The Supreme Court," and "Abraham Lincoln." And in 2015, Susan produced "First Ladies," following a year-long biography series she hosted for C-SPAN on the lives of every presidential spouse. "The Presidents" has already been chosen by the History Book Club as a featured title for April 2019. The definitive account of Bill Cosby's transition from revered father figure to convicted criminal, told by a veteran crime reporter and senior writer for People magazine. Nicole Weisensee Egan has been the lead investigative journalist reporting on the Cosby case since 2005, first for the Philadelphia Daily News and then as a Senior Writer for PEOPLE magazine. She covered the second trial for The Daily Beast and is and is already working on her second book. Egan continues to report and write, and she also teaches magazine writing at Temple University. She lives in Royersford, PA.
From the New York Times bestselling author of Black Hawk Down — a chilling and unprecedented look inside a disturbing criminal mind. 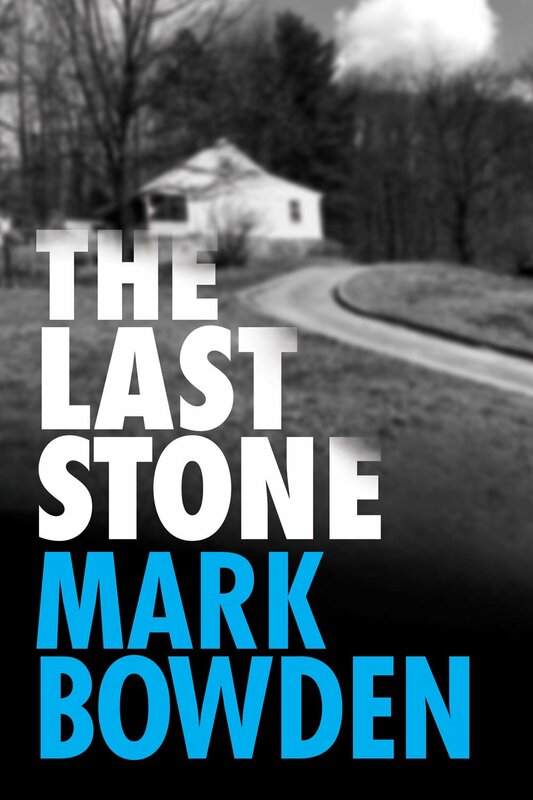 This May, bestselling author Mark Bowden visits Harrisburg to discuss his new book of true crime, The Last Stone: A Masterpiece of Criminal Interrogation. This event is free and open to the public. Book signing to follow discussion. From the Founding Educator of The Circle School in Harrisburg — When Kids Rule the School is the first comprehensive guide to democratic schooling, where kids practice life in a self-governed society—empowered as voters, bound by laws, challenged by choice, supported by community, and driven by nature. This May, we’re pleased to welcome educator and author Jim Rietmulder to Harrisburg as he presents his new book, When Kids Rule the School The Power and Promise of Democratic Education. This event is free and open to the public! Education is ripe for democratic disruption. Students in most schools are denied fundamental social ideals such as personal freedom, public government, rule of law, and free enterprise. In our increasingly authoritarian post-truth world, self-directed democratic schooling offers a timely alternative: educating children in civilized society and showing that self-motivation outperforms coercion in its power to educate and fulfill. Model bylaws and guidance for starting a democratic school. Created for educators, parents, and scholars, When Kids Rule the School will immerse you, heart and mind, in a promising new approach to education, and stretch your thinking about what school can be. 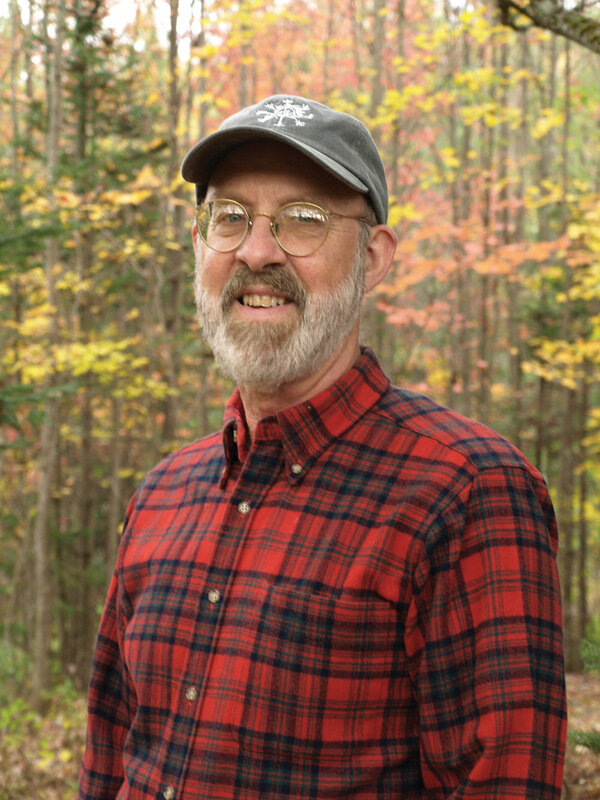 James Rietmulder is a founding staff member and educator at The Circle School in Harrisburg, Pennsylvania, a pioneering democratic school, where he has worked for 34 years. With his support, students at The Circle School practice freedom and responsibility in a scaled-down version of the larger world, becoming experts at life, liberty, and pursuit of happiness. Jim also tutors students to take college entrance exams, plays mixed-age soccer at every opportunity, and anchors the daily Critical Thinking Discussion Group. Prior to, and overlapping with, The Circle School's early years, Jim was a history magazine editor, business analyst, independent software developer, and management consultant to manufacturers. Jim is married to co-founder Beth L. Stone and is the father of two Circle School graduates. He lives in Lewisberry, Pennsylvania. From the row houses of Baltimore to the stoops of Brooklyn, with searing conviction and full compassion — D. Watkins lays bare the voices of the most vulnerable and allows their raw, intimate stories to uncover the systematic injustice threaded within our society. 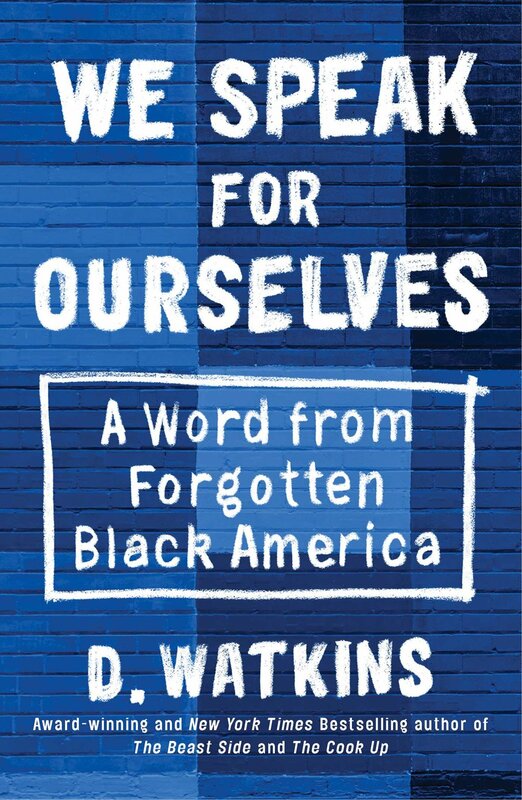 This May, the Midtown Scholar Bookstore is thrilled to welcome author D. Watkins to Harrisburg as he presents his new book, We Speak For Ourselves: A Word from Forgotten Black America. This event is free and open to the public. Honest and eye-opening, We Speak for Ourselves makes us listen, feel, and create a course toward change that starts right where we are. From the acclaimed speakers on non-violent resistance — Michael Long and George Lakey visit Harrisburg for a powerful conversation on non-violent resistance, how to gain political power, and successful strategies to achieve real progressive victories. This May, we’re pleased to welcome authors Michael Long and George Lakey as they discuss their new books, We the Resistance and How We Win. This event is free and open to the public. Michael Long is an associate professor of religious studies and peace and conflict studies at Elizabethtown College and is the author or editor of numerous books on civil rights, religion, and politics, including We the Resistance: Documenting A History of Nonviolent Protest in the United States; Jackie Robinson: A Spiritual Biography; Peaceful Neighbor: Discovering the Countercultural Mister Rogers; Gay Is Good: The Life and Letters of Gay Rights Pioneer Franklin Kameny; Beyond Home Plate: Jackie Robinson on Life after Baseball; Martin Luther King, Jr., Homosexuality, and the Early Gay Rights Movement; I Must Resist: Bayard Rustin's Life in Letters; Marshalling Justice: The Early Civil Rights Letters of Thurgood Marshall; First Class Citizenship: The Civil Rights Letters of Jackie Robinson; The Legacy of Billy Graham; Billy Graham and the Beloved Community; and Against Us, But for Us: Martin Luther King, Jr. and the State. The Midtown Scholar Bookstore is pleased to welcome Anne Spangle to Harrisburg for May’s Third in the Burg! The Harrisburg Young Professionals Book Club will meet to discuss May’s book, Master of the Game by Sidney Sheldon. For further information, contact Joe Foner at joefoner1@gmail.com, or visit www.hyp.org. Join the LGBT Book Club every third Sunday of the month for a discussion on this month’s book! Twenty years after Columbine, a leading gun control activist offers a radical argument for the gun control movement our country desperately needs. This May, the Midtown Scholar Bookstore is pleased to welcome author Igor Volsky to Harrisburg as he presents his new book, Guns Down: How to Defeat the NRA and Build a Safer Future with Fewer Guns. This event is free and open to the public. 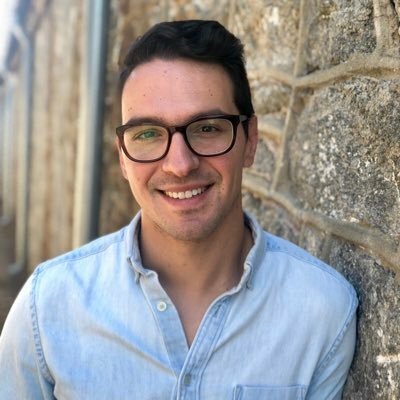 Igor Volsky is the co-founder and executive director of Guns Down America, an organization dedicated to building a future with fewer guns. He made headlines in 2015 for shaming lawmakers who took money from the NRA and sent “thoughts and prayers” after mass shootings. A lively interlocutor, he has appeared on MSNBC, CNN, Fox News, CNBC television, and many radio shows. He lives in Washington, DC. In Ladysitting, Cary captures the ruptures, love, and, perhaps, forgiveness that can occur in a family as she bears witness to her grandmother’s 101 vibrant years of life. This May, we’re pleased to welcome award-winning author Lorene Cary as she presents her new memoir, Ladysitting: My Year with Nana at the End of Her Century. This event is free and open to the public! Lorene Cary’s grandmother moves in, and everything changes: day-to-day life, family relationships, the Nana she knew―even their shared past. From cherished memories of weekends she spent as a child with her indulgent Nana to the reality of the year she spent “ladysitting” her now frail grandmother, Lorene Cary journeys through stories of their time together and five generations of their African American family. Brilliantly weaving a narrative of her complicated yet transformative relationship with Nana―a fierce, stubborn, and independent woman, who managed a business until she was 100―Cary looks at Nana’s impulse to control people and fate, from the early death of her mother and oppression in the Jim Crow South to living on her own in her New Jersey home. Cary knew there might be some reckonings to come. Nana was a force: Her obstinacy could come out in unanticipated ways―secretly getting a driver’s license to show up her husband, carrying on a longtime feud with Cary’s father. But Nana could also be devoted: to Nana’s father, to black causes, and―Cary had thought―to her grandchildren and great-grandchildren. Facing the inevitable end raises tensions, with Cary drawing on her spirituality and Nana consoling herself with late-night sweets and the loyalty of caregivers. When Nana doubts Cary’s dedication, Cary must go deeper into understanding this complicated woman. This May, the Midtown Scholar Bookstore and Almost Uptown Poetry Cartel are pleased to welcome the Poets Laureate of Pennsylvania to present their new collection, Undocumented: Great Lakes Poets Laureate on Social Justice. Several current and former Poets Laureate will read their work from the collection, including Heather Thomas of Berks County, Sandra Fees of Berks County, Carla Christopher of the City of York, Barbara Buckman Strasko of Lancaster County and Rick Kearns of the City of Harrisburg. Each of these poets is known locally and nationally for their lyrical talents along with their commitment to justice. Focusing on contemporary issues, Undocumented showcases a large collection of regional poets laureate writing on subjects critical to understanding social justice. Includes writing by seventy-eight poets and organized around themes from the Southern Poverty Law Center’s “Ten Ways to Fight Hate: A Community Response Guide,” this collection calls on readers to act on behalf of victims of social injustice. "Undocumented: Great Lakes Poets Laureate on Social Justice is an inspiring gift of wisdom, grit, and resolve. These celebrated poets have created what Adrienne Rich calls a “cairn of . . . intention.” Radical to the root, this soul-searing collection, sharp as singing knives and hot as fired stones, calls for justice and action: we must learn to heal one another in this precious, broken world". "Riekki and Scarpino’s Undocumented: Great Lakes Poets Laureate on Social Justice speaks to the tangible way in which poets laureate can raise awareness of key social justice areas in the places where they live, work, and write. Its arrival is timely, given the often negative and sometimes apathetic state of our current social and political climate, when poets and writers are even more and more needed to shine light into darker spaces. These poems witness real injustices in our world but still sing with hope. This is the power of good poetry." " In Undocumented: Great Lakes Poets Laureate on Social Justice, Great Lakes poetry washes our souls from the tiredness of the long roads we crossed and makes our journey worth it. Like water, it flows and, without discrimination, reflects our faces one by one. —Dunya Mikhail, 2001 recipient of the United Nations Human Rights Award for Freedom of Writing"
"This unique anthology taps into the poetry of social justice by poets laureate from the Great Lakes region. In selecting specific poems by Great Lakes poets, Riekki and Scarpino connect their work with the larger, important aspects of social justice. The collection is fresh, very timely, and extremely insightful, and serves as a clarion call to our nation." The Harrisburg Young Professionals Book Club will meet to discuss their challenge read of 2019, 1Q84 by Haruki Marukami. The Midtown Scholar Bookstore is pleased to welcome Shine Delphi to Harrisburg for April's Third in the Burg! Shine Delphi travels this world with a resonator guitar and a few words to share. Born in Pennsylvania, raised in California, and rebirthed in the crescent city of New Orleans. Shine is a performer that will leave you feeling good and wanting more. From his technical ability on the guitar to his simple yet touching lyrics, he is an act that spans many genres and all ages. He has opened for such bands as The Carolina Chocolate drops, Reverend Peyton's big damn band, and The Tony Rice unit just to name a few. Inspired by true events, The Vain Conversation reflects on the 1946 lynching of two black couples in Georgia. The Midtown Scholar Bookstore is pleased to welcome author Anthony Grooms to Harrisburg as he discusses his new novel, The Vain Conversation. Book signing to follow discussion. This event is free and open to the public. Inspired by true events, The Vain Conversation reflects on the 1946 lynching of two black couples in Georgia from the perspectives of three characters―Bertrand Johnson, one of the victims; Noland Jacks, a presumed perpetrator; and Lonnie Henson, a witness to the murders as a ten-year-old boy. Lonnie's inexplicable feelings of culpability drive him in a search for meaning that takes him around the world, and ultimately back to Georgia, where he must confront Jacks and his own demons, with the hopes that doing so will free him from the grip of the past. 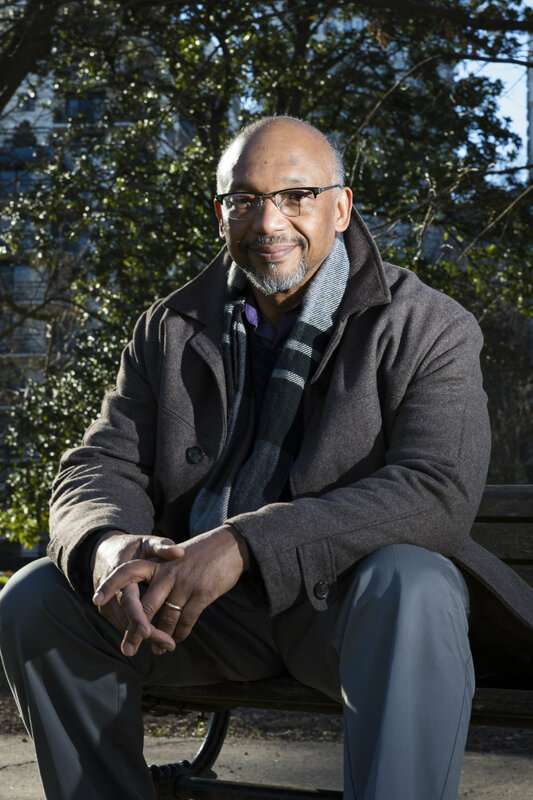 Anthony Grooms is the author of Bombingham: A Novel and Trouble No More: Stories, both winners of the Lillian Smith Book Award for fiction. Born in Charlottesville, Virginia, he has taught writing and American literature at universities in Ghana and Sweden, and since 1994, at Kennesaw State University in Georgia. This April, the Midtown Scholar Bookstore is pleased to welcome author Charles Fergus as he presents his new novel, A Stranger Here Below. Book signing to follow discussion. This event is free and open to the public. The Harrisburg Young Professionals Book Club will meet to discuss April’s book, Everything I Never Told You by Celeste Ng. Based on extensive interviews with leading media figures and politicos, this book traces the development of the media machine, giving suggestions on how to restore our national dialogue while defending our right to disagree agreeably. This April, we’re pleased to welcome Political Scientist Alison Dagnes to Harrisburg as she presents her new book, Super Mad at Everything All the Time: Political Media and Our National Anger. Alison Dagnes is a professor of Political Science at Shippensburg University in Pennsylvania. She is the author of several books on political media and has also edited two books on political scandal, a topic that continues to keep her busy. She is interviewed frequently in the national media and gives public talks on political behavior. 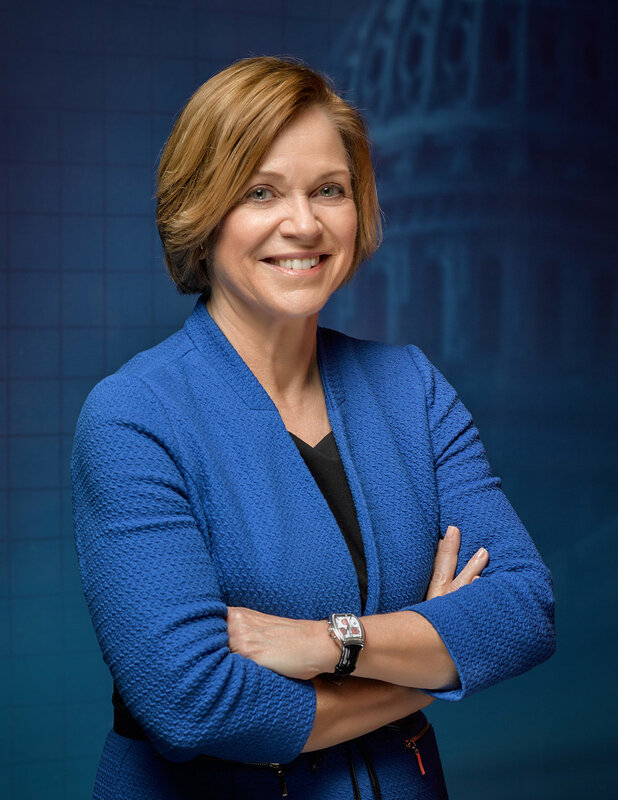 Prior to receiving her doctorate in Political Science from the University of Massachusetts at Amherst, Dr. Dagnes was a producer for C-SPAN in Washington, DC. This April, the Midtown Scholar Bookstore is pleased to welcome Amy Murrell Taylor to Harrisburg as she presents her new book, Embattled Freedom: Journeys through the Civil War’s Slave Refugee Camps. Book signing to follow presentation. This April, the Midtown Scholar Bookstore is pleased to welcome philosopher and science historian Robert Crease to Harrisburg as he presents his new book, The Workshop and the World: What Ten Thinkers Can Teach Us About Science and Authority. Book signing to follow discussion. This event is free and open to the public. Robert P. Crease is the chairman of the philosophy department at Stony Brook University and the author of several books on science, including The Quantum Moment and The Great Equations. He lives in New York City. This March, the Midtown Scholar Bookstore is pleased to welcome Linda Kay Klein to Harrisburg as she presents her new book, Pure: Inside the Evangelical Movement That Shamed a Generation of Young Women and How I Broke Free. This event is free and open to the public. The Midtown Scholar Bookstore is pleased to welcome Shawan Rice back to Harrisburg for a special performance! The bestselling author of A Brief History of Everyone Who Ever Lived investigates what it means to be human—and animal. This March, the Midtown Scholar Bookstore is pleased to welcome Dr. Adam Rutherford to Harrisburg as he presents his new book, Humanimal: How Homo sapiens Became Nature’s Most Paradoxical Creature. This event is free and open to the public. Adam Rutherford, PhD, is a science writer and broadcaster. He studied genetics at University College London, and during his PhD on the developing eye, he was part of a team that identified the first known genetic cause of a form of childhood blindness. His previous books are A Brief History of Everyone Who Ever Lived—finalist for the National Book Critics Circle Award in nonfiction—and Creation, which was shortlisted for the Wellcome Book Prize. He writes and presents BBC’s flagship weekly Radio 4 program Inside Science; The Cell for BBC Four; and Playing God (on the rise of synthetic biology) for the leading science series Horizon; in addition to writing for the Guardian. Steeped in the rugged beauty of the Pennsylvania mountains, Sarah St. Vincent and Kimi Grant's new novels take on love, betrayal, loyalty, and redemption. This March, the Midtown Scholar Bookstore is pleased to welcome novelists Sarah St. Vincent and Kimi Grant to Harrisburg for a reading and conversation on their new novels, Ways to Hide in Winter and Fallen Mountains. This event is free and open to the public. Book signing to follow discussion. Sarah St.Vincent grew up in rural Pennsylvania and attended Swarthmore College, Harvard University, and the University of Michigan Law School. As a human rights attorney, she has advocated for survivors of domestic violence and currently researches national security and surveillance for Human Rights Watch. She lives in New York City. Kimi Cunningham Grant is the author of a memoir, Silver Like Dust (Pegasus 2012.) She is a two-time winner of a Dorothy Sargent Rosenberg Memorial Prize in Poetry, as well as a Ruth Lilly Poetry Fellowship finalist. She’s also a recipient of a Pennsylvania Council on the Arts fellowship in creative nonfiction. Her essays and poems have appeared in RATTLE, Poet Lore, Tar River Poetry, Apalachee Review, Grasslimb, Whitefish Review, and The Tribe magazine. She studied English at Bucknell University, Messiah College, and Oxford University. You can find her at kimicunninghamgrant.com. Drag Storytime at the Scholar! This March, join us for Drag Storytime at the Scholar: Under the Big Top! Hosted by Miss Anita and Betty Whitecastle, we'll be reading from "If I Ran from the Circus" by Dr. Seuss and "The Circus Thief" by Alane Adams. Special guests include Lizzie Beaumont! Donations will be accepted for Pridefest of Central Pennsylvania. Come out and enjoy the magic of the Circus! The Midtown Scholar Bookstore is pleased to welcome singer-songwriter S.R. Frost to Harrisburg for March’s Third in the Burg! This event is free and open to the public. S.R. Frost is a Philly-based singer-songwriter. His debut album, Shrine, is a blend indie-pop and psychedelia performed entirely by S.R. on a cherished tape machine. He recently teamed up with Cheerleader’s Josh Pannepacker to produce a follow-up EP due March 2019. You can find him playing solo or with friends. The Harrisburg Young Professionals Book Club will meet to discuss March’s book. Visit their Facebook page for more information.